Their Finest is a movie about the making of a movie. But the creation of the film is done under rather extraordinary circumstances. First, Hitler is raining bombs down on London during the blitz as the director is calling action. Second, the film must be made to order and serve a certain propagandistic purpose. Their Finest, the title taken from a speech by Winston Churchill, opens at a British cinema with the audience watching a clunky and overly earnest film about working women giving their all to meet a war quota. Its intention inspirational, its result comedy unintentional. 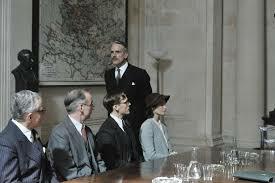 So the war ministry, headed with a marvelous cameo by Jeremy Irons as the minister, giving a rousing speech as if all involved are about to play rugby, wants a movie that is grounded in reality, but also has a message of hope (a seemingly contradictory request giving the dark days that have descended upon the empire). Into this project steps one Catrin Cole (Gemma Atherton) who arrives thinking she’s applying for a secretarial position, but leaves as a screenwriter (well, someone has to write the women’s parts). She also leaves with a conflict: is her future to be a dutiful and supportive wife or an independent woman? Since the movie is being made in 2017, the answer is fairly predictable. 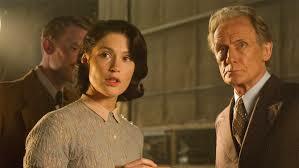 Nevertheless, Their Finest is highly entertaining, never boring and ultimately moving. It’s a slickly made bit of stiff upper lip and the show must go on combined. I can’t see how anyone will be bored. The most interesting aspect of the story, though, is not Catrin’s arc of mousy to independent, which is fairly standard, but how the movie manages to deal with the various slings and arrows thrown at the filmmakers and how they adapt and make due in trying to please all concerned, the funniest probably being a request from the Roosevelt administration that one of the central characters be an American (though Pearl Harbor has yet to happen). They select a flyer from the U.S. who has joined the RAF and who has become a popular hero. Unfortunately, though his credentials as a hero can hardly be challenged, no one bothered to find out whether his credentials as an actor were equally as good. There are a couple of ironies here. The first is that the movie they make, The Nancy Starling, inspired by a story of two sisters, twins, who participated in D-Day, is only really surpassed by Their Finest due to technical superiority. In many ways, Their Finest, when all is said and done, may be aesthetically better than the movie within a movie the filmmakers make, but it’s little more than a movie grounded in realism that delivers a message of hope, something that the filmmakers in Their Finest tended to sneer at. 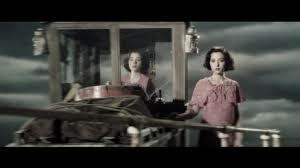 Second, though everyone cheers the idea that this breakout film is filled with working class heroes, the movie that really got everyone’s attention around the time in real life, Mrs. Miniver, is firmly focused on the upper class of the British caste system. Still, as I said, the movie is highly enjoyable and it’s difficult to dislike anything that has Bill Nighy in it. 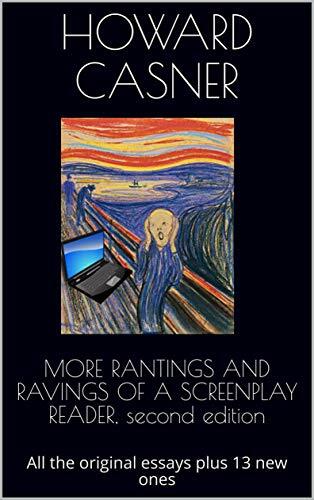 And here he’s in top form as an aging actor who comes with a slice of ham, a prickly figure who has difficulty coming to terms with the idea that his days of being a matinee idol are over. He has a lovely moment at a gathering where he sings a sentimental song that can’t help but bring tears to the eyes. Also with Eddie Marsan as Nighy’s agent; Sam Claflin (Finnick Odair of The Hunger Games for those so inclined) as a fellow screenwriter and love interest; Jack Huston as Catrin’s cad of a boyfriend; Richard E. Grant as a producer; and Rachel Sterling (of The Detectorists) as a lesbian and assistant to the big bosses. Gemma Atherton gives a strong performance as Catrin and she holds everything together rather well. Directed by Lone Scherfig, who helmed the marvelous coming of age film, An Education, but has followed that up with solid, but uninspired fare like One Day. The screenplay is by Gaby Chiappe, one of Britain’s finer television writers, from the book Their Finest Hour and a Half, by Lissa Evans. The title character in the new film Frantz is a young man who died in the trenches in World War One. His family is then visited by a Frenchman, Adrien, who claims to have been close friends with Frantz in Paris before the European conflict took place. The trio are at first reluctant to receive him, but as they get to know him, find solace in his memories. 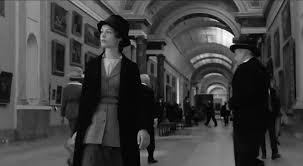 The direction is by Francois Ozon who wrote the screenplay with Philippe Piazzo. It’s inspired by an Ernst Lubitsch film, Broken Lullaby, which was in turn based on a play by Maurice Rostand, the son of Edmond Rostand, who wrote Cyrano de Bergerac. But as it is in many Ozon films, nothing is quite what it seems and the story is driven by lies and deception, though often of the best intended kind. Ozon may be a victim of the Hitchcock syndrome here. The master of suspense said he could never make Cinderella because everyone would expect there to be a dead body in the coach. Ozon, in turn, has made many a film with gay central characters. 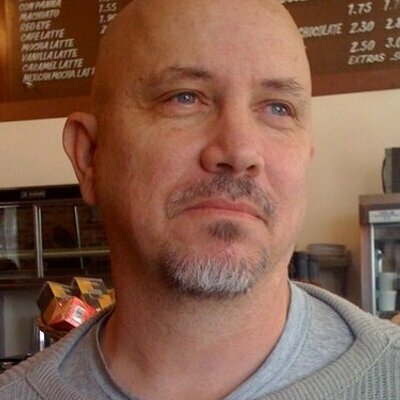 So when Adrien claims to know Frantz, it seems as if he’s talking about in the Biblical way. It’s Ozon, what else could it mean? Well, something entirely different here and when the secret is revealed, it’s actually kind of a let down and a disappointment. The movie then takes some curious and not entirely uninteresting turns as it tries to decide if in life fantasy at times is more beneficial than truth. But it never really recovers from that central revelation. But I actually think there is a more serious problem and that is in the casting of Pierre Niney as Adrian. Actually, it’s not exactly the casting of the actor, but the casting of his mustache which, though popular at the time, is probably one of the more disastrous hirsute choices in film. For Niney, scrawny and large eyed as he is, the mustache makes him look like a young Salvador Dali, and is so distracting, it’s hard to take the character seriously. And then as time goes on, and Frantz’s fiancée Anna comes to look on him as a possible love interest, he has become something of a ninny such that rather than be unhappy when her love is not reciprocated, you feel as if she just dodged a bullet. 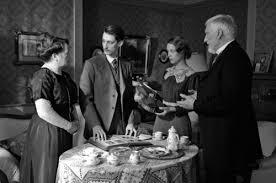 With Paula Beer as Anna, Ernst Stotzner as Frantz’s father and Marie Gruber as his mother.